The Shift Really Is Happening! Join in this ongoing effort to raise consciousness all over the world by doing a blessing on a creek or river near you! 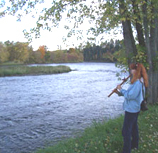 We were asked by Silver Horse, a Native American ancestor spirit, if we could bless the major rivers as we were traveling and doing land healing. So we developed a method to do this, spreading energies of higher consciousness and healing. Clear the slate on your personal and ancestral histories! Being on a spiritual path requires that we all heal limiting and painful energies from our past. This class meets every 2-3 weeks. Each class is independent, so you can register for the ones you most want or all of them. A comprehensive course to develop your ability to sense energy through all the psychic senses: seeing with eyes closed and open, feeling, hearing, and knowing. Expand your awareness and take the blinders off! Most of the action around us is non-physical. Prerequisite: Building Awareness I: Psychic Protection. 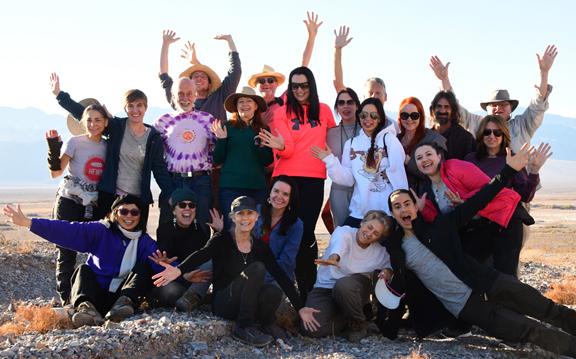 Join an amazing group of lightworkers and get tools for your empowerment! New healing energies from Divine Mother for yourself, your life, and the world. Sacred feminine power, for men and women. The world needs more of this now! Our annual spiritual gathering. 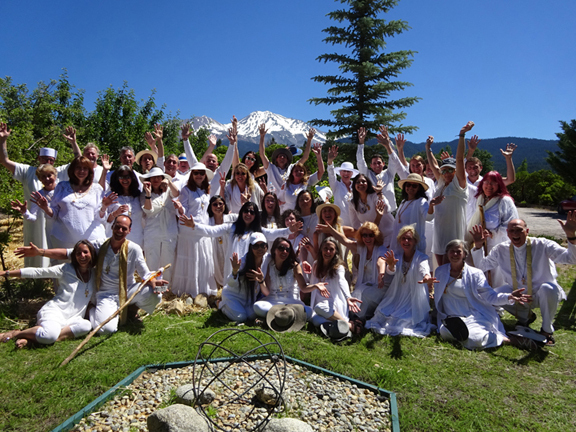 Being initiated into this cosmic order in the presence of spiritual family and friends is highly profound and transformative, and puts you in a closer relationship with the Ascended Masters. Learn how to tap into the forces all around you, from nature and the elements as well as spiritual sources, then to direct these energies toward a physical goal. Join Antera and Omaran for four magical days in one of the most beautiful and spiritual places on Earth! The Grand Tetons is a unique mountain range in Wyoming with spectacular scenery and an etheric Ascended Master Retreat. Experience fully this power spot while embracing both personal and collective evolution. An advanced webinar training series that guides people into greater awareness in a step-by-step program of psychic development and spiritual evolution. Unique, powerful, spiritual energies in our 24 X 24 foot pyramid. By appointment only, groups and individuals, for meditation. Short visits and longer vision quests. Center for Soul Evolution is a nonprofit organization. Your donations are tax-deductible.